10” Black Pull-On Internal Met-Guard. 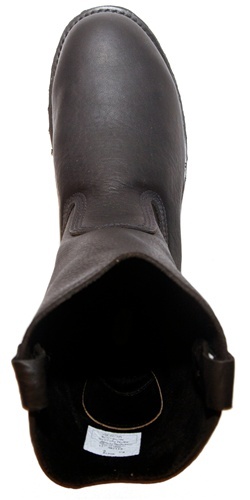 Vibram© Outsole Dryz® Insole. The #30478 is a very good 10” wellington-style pull-on internal met-guard. Based on the Vibram high heat-resistant outsole, the “Armadillo” tempered-steel internal met-guard is hinged in five places, allowing maximum flexibility and more protection than many of the plastic varieties that exist on the market. All of our boots are tested for—and pass, both steel-toe protection and met-guard protection. Triple-stitched with Kevlar. Goodyear welt construction. 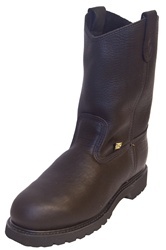 The #30478 is a very good 10” wellington-style pull-on internal met-guard. 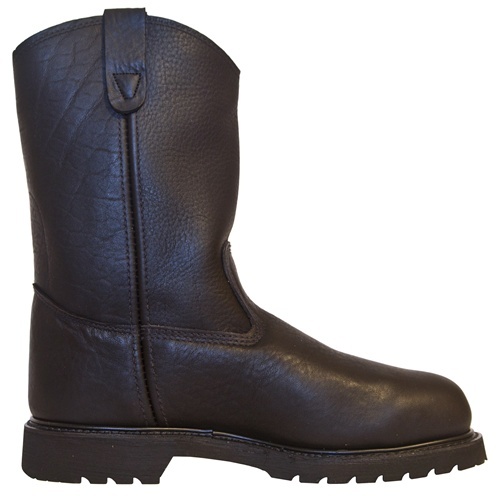 Based on the Vibram high heat-resistant outsole, this boot is a “fast escape” style. The “Armadillo” tempered-steel internal met-guard is hinged in five places, allowing maximum flexibility and more protection than many of the plastic varieties that exist on the market. All of our boots are tested for—and pass, both steel-toe protection and met-guard protection. Triple-stitched with Kevlar.